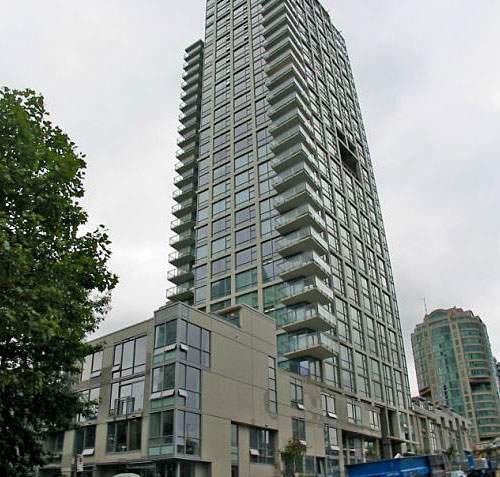 Pomaria at 1455 Howe Street, Vancouver, BC, V6Z 1R9, the corner of Pacific & Howe, 134 suites, 30 levels, built 2008. Pomaria has been awarded "Best High-Rise" by the Urban Development Institute (UDI) on Wednesday, October 3, 2007. Developed by Qualex-Landmark and designed by Rafii Architects and Robert Ledingham offering. Pomaria is an inspired tower of large, open homes and lush sky gardens. Located in Vancouver's False Creek North neighborhood, just steps from the seawall & English Bay, with easy access to Granville Island and Yaletown. The building Features contemporary open concept floor plans with floor to ceiling windows for abundant natural light. Homes here feature modern kitchens with rift-cut oak cabinets and appliances by Sub-Zero and GE Monogram. One of the first buildings in the area to have the leed certification, Pomaria features geothermal heating and cooling. Building amenities include gym, yoga room, sauna/steam room & 24/7 concierge service.